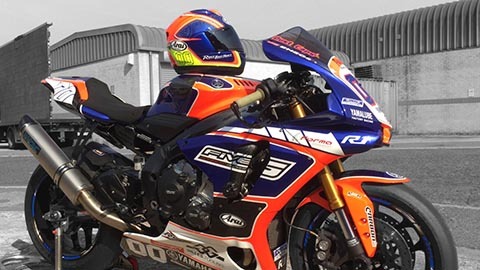 Clevedon, UK – Rage Designs has a solid reputation as a producer of incredible custom bodywork and helmet graphics for motorcycle racers, but it says its newly installed Roland printer/cutter will see it return to its roots in the fan community. which allowed the company to monitor quality as well as significantly reduce turnaround times. A typical job for Rage Designs is to print and cut motorcycle body decals with sponsors' logos. These are small – around 600mm wide – but each race requires around 50 for each design to allow for damaged decals to be replaced. It's also common for these stickers to be given out to fans at race events. Michael adds that attending motorcycle races can be 'a bit of a busman's holiday' but he still loves going to events like the recent Isle of Man TT Races, which were 'absolutely fantastic – I'm still a massive motorcycling fan', he says.